Goethe specializes in pre-Hispanic images, and all of his tattoos have terrific depth. His style is closely connected to Southern California black-and-gray techniques, but his subject is markedly different. 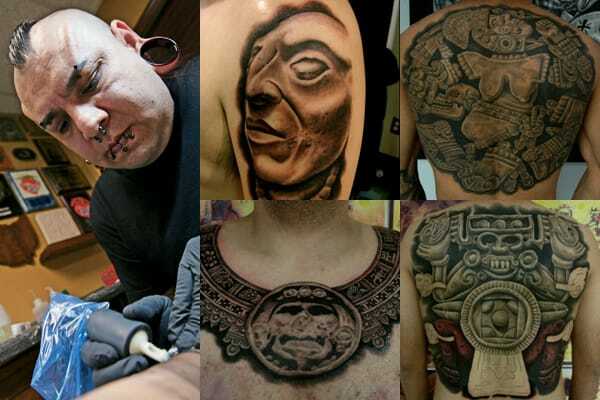 His understanding of Aztec and Mayan iconography allows him to corner a unique niche in the marketplace.